If you’re looking for a place in Colombia for a magical destination wedding, you’ve certainly come to the right page. In Zankyou we’re always looking for the best destination wedding venues, so that American couples seeking a tropical getaway don’t have to! This venue, in particular, is one that you’ll surely love. 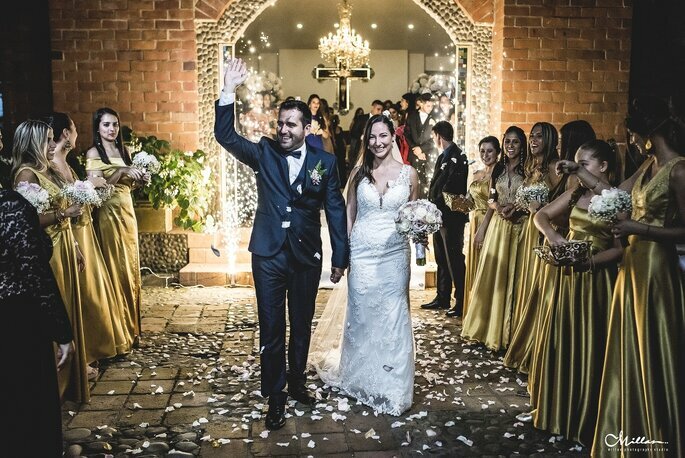 So let us tell you all about this beautiful hacienda in Jamundí, Valle del Cauca, a charming place for your exotic wedding experience. 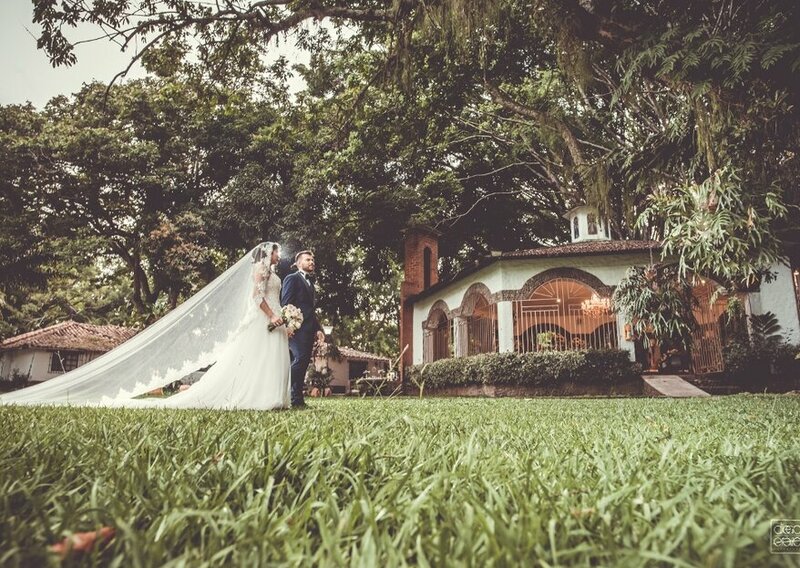 Hacienda Pampalinda has been a top wedding spot for over 10 years. It all started with the dream of one mother who would later turn her it into a homegrown family business. Susana Ceballos is an attorney, but her love for weddings led her to become a wedding planner and little by little, the entire family entered the business: her husband Gonzalo dedicated himself to take charge of the security of the ranch, his daughter Sandra studied design and was certified as a wedding organizer, and her son (also called Gonzalo) is dedicated to the commercial area of the hacienda. 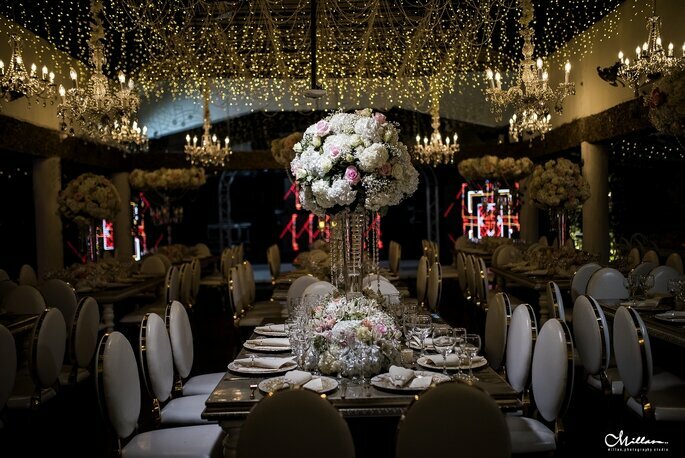 This family of event experts and wedding specialists will be in charge of adapting the entire place so that you and yours will live an unforgettable moment on your big day. 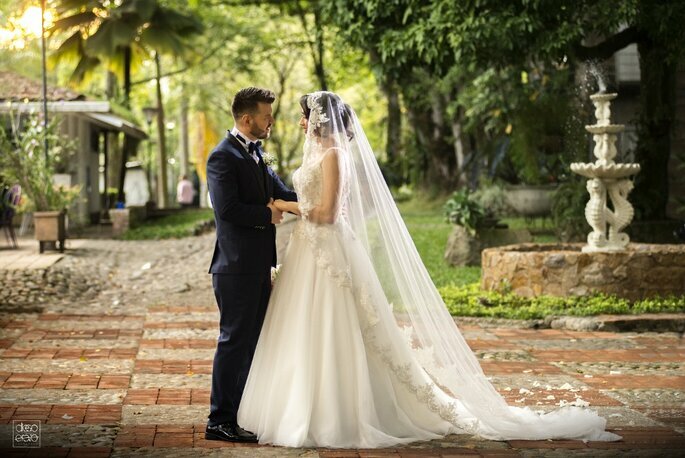 Since 2006 they have been in charge of producing, designing and organizing weddings for national and foreign couples, who come to the hacienda seduced by the charm of its beauty. The beauty of its vast garden spaces and the grandeur of its rooms lend themselves to any style of celebration: from the most rustic to the elegant and chic. The venue also lends itself to any type of ceremony by having its very own beautiful country-style chapel. 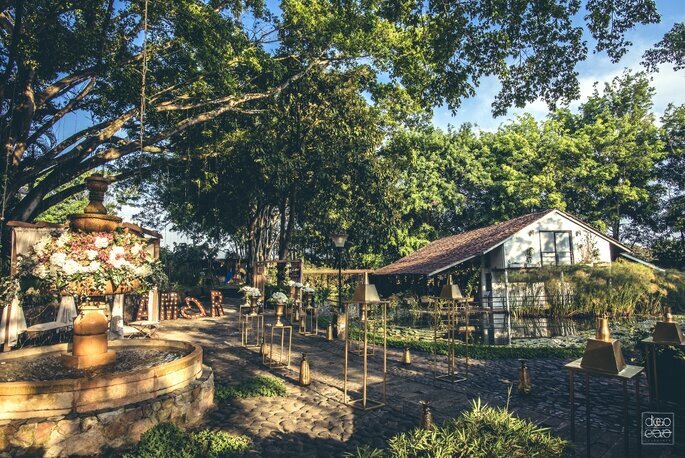 But this traditional hacienda, which once housed a rice plantation, has now become a wonderful space for an unforgettable wedding destination. Here your guests can stay in the Colonial House, in rooms and accommodation cabins, where there are 50 places to stay and of course, for the bride and groom the wedding night will be included, with all the comforts, the pool, the kiosk and a parking lot with capacity for up to 150 cars. The bride, of course, can make use of a luxury suite to change before the wedding, able to arrive with her stylist so that the experience is much more relaxed. From there to the chapel and the chapel to the beautiful floating room located in the middle of the lake and with a capacity for 220 people, there’s not much of a walk. Everything is close and convenient for the bride, groom and guests. But there’s even more than the amazing facilities, its equipped industrial kitchen, or the confidence generated by private security services. This venue offers 4 brilliant plans and packages, so that everything is taken care of for your: Standar, Luxury, Personalized and Wedding Brunch or you can talk with the team about your budget and any needs they will adapt to. 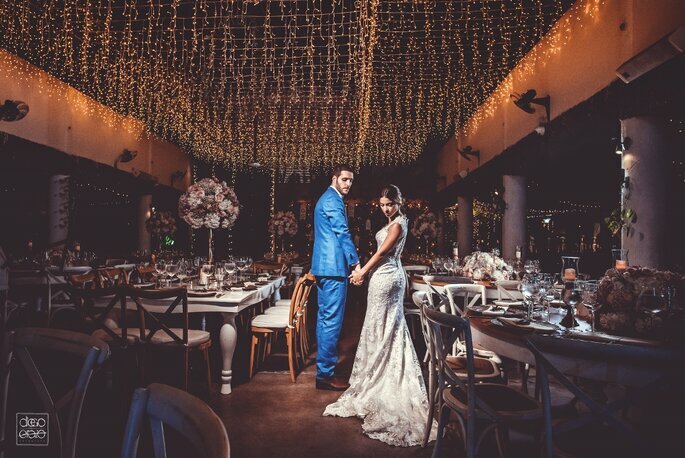 The fact they can take care of the menu, the decoration, the organization and their flawless event planning has sustained this hacienda as one of the most recognized throughout the Valley of the Cauca. Your job will be to tell them what you want so they can make it happen, no theme or idea is too crazy, and just you wait until you see it all come together. Finding a complete wedding package like this is almost as exciting as finding the love of your life! By simply choosing this venue you will also be confirming an amazing wedding planning team. 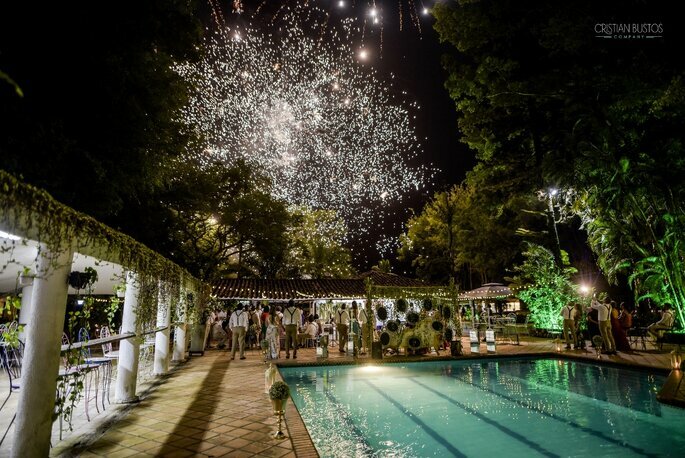 For these reasons Zankyou recommends Hacienda Pampalinda for your destination wedding in Colombia, the perfect setting for a magical day. There are now more reasons than ever to jet off somewhere beautiful for a destination wedding. Be persuaded by our 15 reasons to get married anywhere abroad, from a stunning city to a breath-taking beach!